For those who aren’t aware, World of Warcraft (WoW) is currently onto its third expansion set. Burning Crusade was the first, released in January 2007, followed by Wrath of the Lich King in November 2008 and finally Cataclysm in December 2010. The Eastern Kingdoms and Kalimdor areas have been entirely redesigned to reflect this event. Entire towns have been uprooted, villages and camps burned to the ground and cities pummelled to dust, transforming the world into an unrecognisable chasm of destruction. It is a poignant moment for those of us who have experienced Azeroth before the shattering. Those favourite pockets of life you stumbled across, the small encampments you spent your time crafting in, have long since gone- the inhabitants dead or fleeing. It is an odd, moving feeling knowing that those who join the game now, will never know what the world once was but one of excitement to see what now remains. 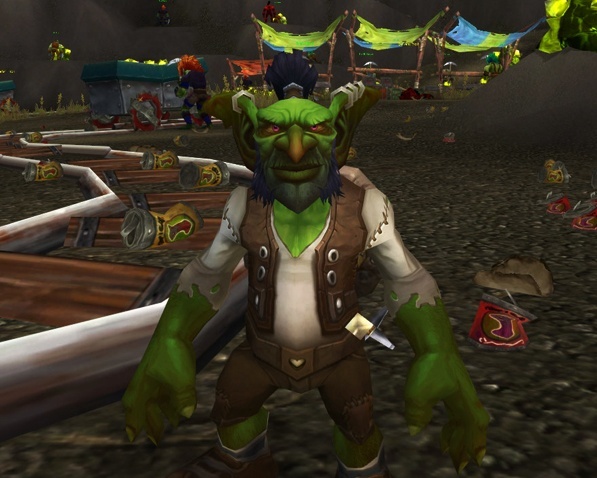 To cover the obvious, besides the impact of the shattering on Azeroth, a primary addition to Cataclysm is the introduction of two new playable races: the Goblins for the Horde and Worgen for the Alliance. Both races are animated brilliantly and look fantastic, however the character customisation options are disappointingly limited, with the method of choosing pre-set hair styles, eye colour and faces now showing its age in comparison to Aion or Eve’s dynamic efforts. The results are still effective though and can yield some rather snazzy looking characters, although in my circumstance it was only 15 minutes until I saw another identical looking player. I don’t intend to pay £12 to change my appearance any time soon. Out of the two races, I found the most enjoyable was the introduction to the Worgen. At the character customisation screen you must choose the appearance of a human, alongside your Worgen, with the appearance of one effecting the other (your human face determines your Worgen face for example). Within the starting zone after a flyby cinematic, the story unfolds of the human nation of Gilneas, who have sealed themselves behind the Greymane Wall to keep Gilneas insulated from the world’s problems. A Worgen curse, however, has spread through the secluded nation and transformed nearly all of its inhabitants into feral Worgen. 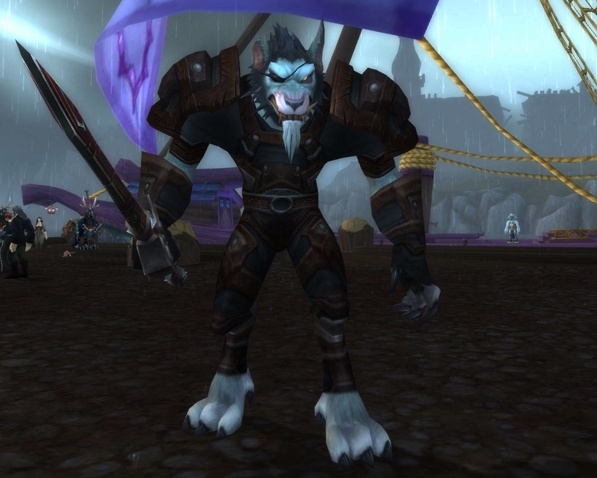 As you arrive to battle and defend Gilneas from the approaching undead horde who seek to utilize Gilneas as a base of operations (as if the people don’t have enough problems) you are eventually bitten by the ensuing Worgen, causing an infection that eventually leads to your entire transformation. Thankfully there is a partial cure, allowing you to retain control of your mind and aid in the fight against the Horde. Phew. It’s an introduction that zips along at a great pace with quests leading comfortably one into the other. The hours and levels roll by as you busy along the gloomy, rainy streets. I must also add that Gilneas looks absolutely incredible. Visually the dreary setting, stunning weather effects and musical score are arguably Blizzards best work and not only sets the mood, but really draws you into the plight of the villagers as they battle foes on both sides. That’s not to say the zone is perfect, the obligatory kill X <insert monster here>, or gather X <insert random object here> quests are still present and correct (and in abundance), but for the most part are disguised well. Dragging drowning Gilneans out of the water to the shore is a great twist on a tried and tested gather quest, while catapulting yourself onto approaching Undead boats (aimed by your fair hand) adds some light hearted fun to a kill quest. 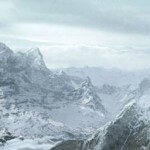 The failure, however, to address itemization from quests is still an issue that has yet to be learned and despite Blizzard’s continued efforts to poach and improve upon the best the competition has to offer (Warhammer Online’s Tome of Knowledge and Quest Tracking for example) they have still failed to miss the startlingly obvious. Many quests completed result in items you aren’t even able to use, leaving your only reward as that of experience and coin as opposed to a physical character improvement. Implementing custom rewards that reflect your class is long overdue: all too often you resort to selling your quest items as simply unusable. What starts to become apparent though is the menial nature of the quests at hand, and while many serve a wider purpose in the grand scheme of events (evacuating Gilneas) many are so flimsy it inevitably undermines your own aspirations as a hero. Fetching planks of wood to help a sailor get his boat afloat when he’s stood 10 feet away from the object is hardly going to inspire tales of heroism for years to come, and this is where the illusion of grandeur and role-play begins to fall apart. It’s not to say these quests aren’t enjoyable (they are) but in comparison to Warhammer Online’s Public Quest system or the recently revealed Dynamic Events of Guild Wars 2 (which build on Mythic’s efforts ten fold), they feel small fry; old in fact. It’s a déjà-vu that leaves you wanting more. Some of the voice acting throughout the quests also leaves much to be desired, the Worgen commander is hilariously bad, but for the most part the acting of others is solid. It is the use of in-game cutscenes though, that really surprised. There is one in the Worgen and Gobline starting zone, rendered using the in-game engine (alongside the use of a subtle overlaid blur akin to Diablo 3’s latest class trailer). The execution and animations are flawless, but are tragically underused. The ability to project the story in this way (akin to Guild Wars or Aion) solidifies what is actually happening, as opposed reading disposable quest text that is instantly forgotten. Blizzard have missed a rare opportunity here to craft something truly memorable by failing to use these cutscenes more often. There were several key moments throughout the Worgen starter zone I was looking forward to further cutscenes, only for them failing to materialize. As a Druid I would have expected the ability to transform into your first animal form to be a memorable moment to a player, to create a sense of wonder and importance. Instead it’s little more an occasion than purchasing the skill from a trainer, as it has always been. To see this transformation in a cutscene (ala Metroid’s Samus when she obtains a new suit or weapon) would have been well received, especially when the Cat and Bear forms have been lovingly redesigned. To digress, when reaching level 10, player talent trees have now been revised to add a greater importance to the path you choose (each class having three) and on appearance are much more akin to when WoW originally launched. The amendment to give players a talent point every “odd” level seems a disappointing change, but one which actually works well with the restructured trees. When a player now chooses a specialization at level 10, they are awarded one major active skill that sets that spec apart from the others, and 2-3 passive skills that support that particular tree. While subtle, it adds an element of importance to specialization but one which would be lost on new players. The quality of the Worgen zone quest lines and the set pieces of non-player-characters (NPCs) seemed to falter drastically towards the end. In one circumstance during the final assault on the Undead blimp my commander was stood unmoving for over 5 minutes, leaving me and a party member perplexed until she finally sprang to life and allowing the dialogue to move on, giving us the opportunity to rappel down the side (which must be said was clunky and poorly implemented). The attack on the blimp’s boiler room and planting of explosives was also sloppy, my commander once more undertaking actions not in line with what was happening, only to then stutter and spring into life in odd moments of dialogue and actions. One line of dialogue saw her saying “I’ve never seen an Orc so big!” only for there to be no one in front of her as she aimed her rifle, in what we assumed should have been a boss encounter. The lack of quality control in this and other NPC encounters throughout the Worgen zone was surprising, although could easily be attributed to the volume of players surging onto servers causing a glitch or two (loading my main character and arriving in the Horde capital city actually crashed my computer three times due to the volume of players on screen). Having played the Goblin starter zone, (which I did not fully enjoy but will discuss in a later entry), I didn’t encounter any similar issues. The Worgen zone may have faltered in the final third (lacking a grand finale of any feeling besides that of stepping on a boat and viewing a loading screen) but you suddenly realise what a daunting task lies ahead. 70 levels in my new character’s case. To see zone after zone undiscovered and awaiting you on the world map is as off-putting as it is enticing. But to know that what lay ahead is fundamentally a carbon copy of the previous several hours play in a different skin is even more disappointing. The first quest in Darkshore saw me killing X <insert monster here> and gather X <insert random object here>. Were I to continue on the levelling treadmill, I’ve no doubt I would enjoy my time within Cataclysm, it’s an MMOG that at times feels like you are on autopilot; almost second nature. Yet the question of how long this can continue is surely now rearing its head. To increase the level cap from 80 to 85 in Cataclysm gives those of us without the best gear in the game the opportunity for a short period of time to obtain weapons and armour equal to everyone else (level 85 common items being reportedly as strong as level 80 rare items) but this again will be short lived as guilds get to grip with the latest raid content. Yet the core mechanics of the game are so fundamentally dated. The knowing that you have no impact on the game or a single zone, that each quest is in one form or another identical to those previously encountered a million times over and to be restricted so heavily by the mechanics of “the holy trinity” of classes is as tiresome as it is sad. The constant need to drink and eat water to top up your health or mana (and the inability to move while doing so) is one example of a game mechanic that should have long since died out (I avoid certain classes for this very reason). And that (after 15 hours of play) are the fundamentals of WoW: Cataclysm. Outdated mechanics hold back a product for fear of upsetting the bank. For while the levelling curve revisions to aid new races is welcome, it fails to address core concerns that have remained for so long. For all the efforts made in transforming the old world visually, it seems wasted when old players have little true incentive to return. Itemisation, character class preconceptions and expectations, repetitive quests, no world interaction, poor crafting, reliance on 3rd party addons and poor visual customisation are just some of WoW’s long standing issues. The biggest for me however is that despite Blizzard’s efforts to craft the most stunning world, not one part of it is truly “used”. Even now. Entire towns and cities are still ghost-towns that still stand eerily empty as players pass them by. Nothing more than levelling pit-stops that only serve to undermine the game world. Locations such as these in the lower level zones should have been handed to players and guilds to allow them free control: to take over existing structures as player housing, to have their own shops (where NPC sellers previously were) or to give bonuses to crafters. To have the ability to create a flight path and to charge taxes in order to encourage players to actually return. Of course, it would be unfair to say that improvements haven’t been made, WoW as a result of Cataclysm and the years of patches prior is unrecognisable from the day it launched. The user interface (while not as customisable as Warhammer Onlines) the player tips, quest tracking and markers, the quantity of quests and constant redesigns of the Player vs Player experience are all welcome and have been well received. However, I can’t help but think that Guild Wars 2 may have just struck that balance between the commercialisation of the genre, and the nuiances of roleplay and player interaction of Mortal Online. All of which MMOGs have been crying out for. Sadly, at the time of writing I have yet to experience the new dungeons available to those who have already reached level 81 or over, so will keep you posted. I plan on sticking around, just to explore some more and see if there is anything really underneath the surface. Anyone know of a Guild that’s needing a Retribution Specced Paladin? A quick thank you to Blizzard and IndigoPearl for the review code in spite of technical difficulties! Thank you for the thorough and fair review, Lewis. It’s interesting to read your assessment of Cataclysm’s quest system as the same-old grind. I read somewhere they’d taken steps to alleviate it. It sounds like they gave the grind a little window dressing but not much else. It would indeed be awesome to see player-run towns and merchants instead of mindless and dumb bots. Heck, they could even let guilds assign quests and rewards, though I suppose it could present balancing issues. It would need regulation in some form to succeed. Good review – still I’ll miss the old World. I hope that they incorporate it into the caverns of time for those of us who are susceptible to nostalgia. As expected, fantastic write up Lew. I always loved the chunky, colourful art style of World of Warcraft. Torchlight seems to have the same sort of look about it. I’m in line with many of your sentiments, Lewis. The Worgen starting area is so different when compared to other races’ starting zones (these too may have changed, I do not know) of old … they’ve become very streamlined, they seem to have a focus and narrative that was definitely lacking in much of World of Warcraft prior. A few major quests were a bit buggy and unclear as to how they get kicked into motion, but they were at least completable. 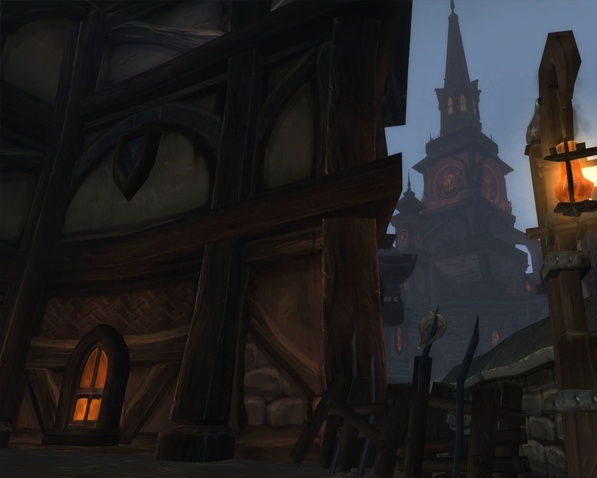 Time will tell how traversing through the old zones will evolve; if the rest of the game will manage that feeling of progress that was always present in Gilneas. I didn’t get too far through the Goblin zone, but it seems a hell of a lot more disjointed, though I hear mostly good things about it too once you get going. Definitely had a good chuckle over the Zoolander homage. Good stuff, sir Lewis. Where might you be found? I’m lurking around Trollbane and Kael’Thas these days (surely the latter of which would be a name after Steerpike’s own heart). This is a really interesting piece, Lewis. As a person who’s never played World of Warcraft (addictive personality), but has many friends who do, I watched with anticipation their reactions to Cataclysm. Your are both balanced and also… a little bittersweet, as though you remember the WoW that was and recognize that it can’t continue in that same mould if it hopes to retain its crown against the inevitable next generation of MMOs. If your further impressions warrant sharing, I hope you share them with us. Thanks! I’ll certainly be writing up further findings. My Goblin Shaman is currently level 25 which is enjoyable. I’ll report on that in one of my diaries. As a person who played WoW everyday until the release of it’s first expansion pack, it is a sad bittersweet moment Steerpike. What Blizzard has done for the genre is to be applauded. The leveling curve in the other starter zone has been revised Xtal- Many starting areas remain the same however. @ Gregg, having been playing Torchlight your absolutely right, the graphics are similar and still to my suprise look fantastic. What it needs now though is the original races having graphical updates. The Dwarf and Troll models are looking particularly ropey. Oh and I’m on Daggerspine. Trying to find a good guild is like a job interview! Great review. Totally nails it. I particularly appreciated the section about how much of the game is unused. I tend to spend my time in many many zones that are basically deserted. I don’t particularly like how each zone has lost its sense of consistency. For instance, Desolace…with trees and grass? But eh whatever. WOW’s an old engine. Only reason it hasn’t been replaced by some other game in MMORPGers’ hearts is the vast number of gold farmers who still make people think it’s worth playing. I started a goblin, played to level 3 and promptly quit the game forever, my poor 80 rogue be damned. The game went from kinda sucking/kinda fun to just damn stupid. Ah well.